It seems I’m not the only one out there determined to master the art of making macarons. Over the last few years I have had more and more enquiries from both amateur and semi-professional bakers about teaching them to create macarons. I’m not a professional pastry chef and didn’t specialise in patisserie when I did my catering degree, but I think that probably helps in many ways. I am self taught where macarons are concerned and so understand fully how frustrating they can be!! The classes are about achieving consistently good macaron without all the myths that seem to surround them. The french method is taught and a few secrets imparted about various fillings and flavourings. 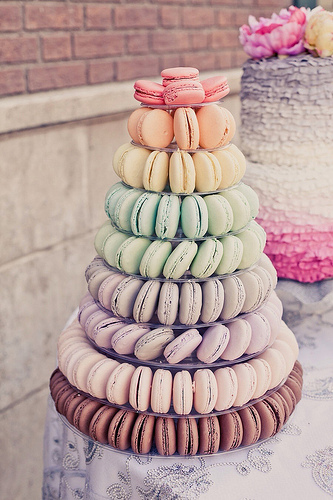 We stop for a drink and macaron nibble half way through. 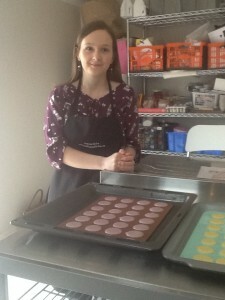 The class lasts approximately 2.5 hours and everyone takes home at least 12 macarons. Available also on the day is a starter kit of basic items needed to go home and get baking immediately without having to hit the shops first. Many people are buying these lessons as a gift and I can send a gift voucher through the post so please contact me in person. 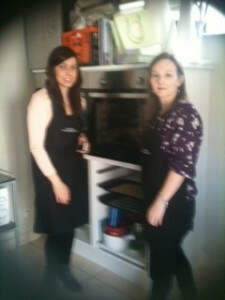 Corporate days also available in larger kitchen premises- contact me for more information. 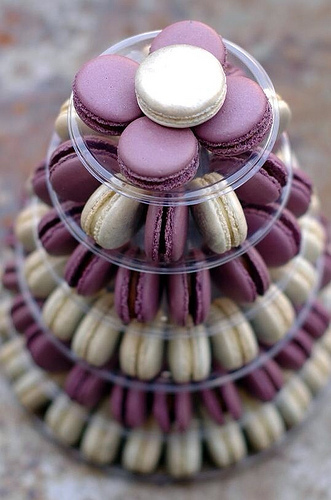 Advanced classes available, to include: Macaron geant desserts, novelty shaped macaron, gift packaging and decorating. Per person: £40, £70 for 2 people. Maximum 4 people per session.